Erickson is an authorized installer of Mito Corp interior mirrors. 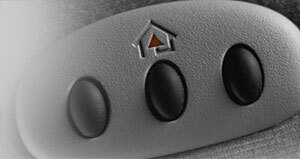 HomeLink, developed by Johnson Controls, Inc., the world's leading supplier of automotive seating and interior systems, has grown to become one of the auto industry's most recognizable brands. Homelink, the Wireless Control System that learns the codes for up to three remote control devices, is now available in an auto-dimming rearview mirror through MITO. Never lose your way when you have rearview mirror installed with compass and temperature features. You'll never have to guess which direction you are driving or what temperature it is outside. A rearview camera that actually shows you the view in the rear with the help of the monitor that displays while in reverse. Get the best in safety with these monitors directly in your rearview mirror. 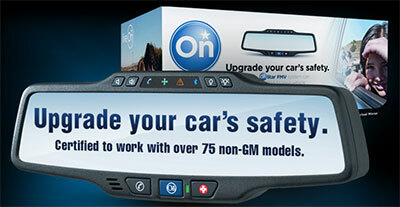 Enjoy the core safety, security, and connectivity features of OnStar on your vehicle. By simply replacing your rearview mirror and subscribing to our service, you'll get access to the following core OnStar services: Automatic Crash Response, Emergency Services, Security, Roadside Assistance, Navigation, OnStar Hands-Free Calling, and Bluetooth?